I have been profusely listening to all the tracks and I am sure they will inspire many blog entries to come but one thing that came across was the thought of trendy choral pieces. I just want to make this clear from the beginning, I have nothing against trendy choral pieces, but I do believe choirs have to tread carefully when they wish to tackle popular pieces in the modern choral world. Of course, the definition of what is chorally popular is subjective as well, but this piece in particular caught my attention: Mata Del Anima Sola by Antionio Estevez. The Surrey Youth Chamber Choir as well as the Take Note Jazz Choir chose this particular piece as their class entries, even though they were not competing directly against one another, it is interesting to hear just how different two choirs can sound with the same piece. The reason I believe why Mata Del Anima Sola has a... choral hook I shall say is because it is extremely catchy and has a sensual Venezuelan beat that runs through the first and end sections of the song. However, this raises some more issues since it is extremely difficult to find a comfortable tempo setting for a song. South American music requires a sensual innate metronome within every chorister in order to feel the pulse and move of the piece. I have sung percussive Spanish choral songs in the past, Hatfield's Las Amarillas comes to mind, and more often than not, these pieces can feel like they're going to derail when everybody has a different sense of time. I took my theory to Youtube and searched for choral performances of Mata Del Anima Sola. 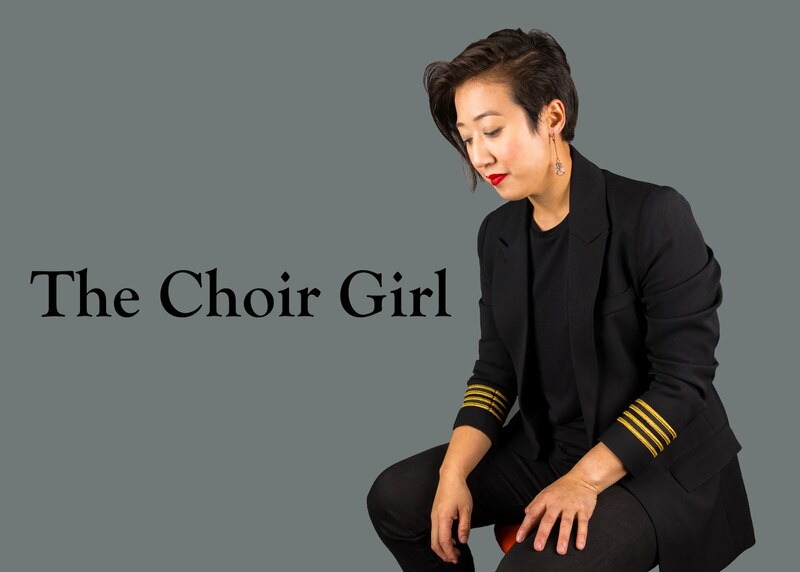 Most of the videos I saw had decent soloists, but as soon as the choir comes in with their swinging percussive lines, it feels like the solid foundation that the soloist has built up begins to ripple and dissemble as the piece progresses. After listening to the Surrey Youth Chamber Choir, I appreciate their vowel purity and phrase shaping, but they sounded more like a proper English church choir than a fiery Venezuelan ensemble. It was just lacking that South American heat that this song is supposed to have. Also, after hearing performances on Youtube, their tempo is too slow for it. However, I feel that they decided to slow it down because that was what they could manage. I suppose it is better to sing it slow and accurately rather than being a jumbled acoustic mess. But it is tough to find that balance since you can hear in the Take Note Jazz recordings that they clearly could not agree on a tempo either. I wish I could provide some fail safe techniques to overcome this tempo issue in choral pieces, unfortunately, I cannot, but what I did find helpful while rehearsing the Hatfield piece was silently tapping out the pulse with two fingers in the palm of my hand as I sung. It is also crucial that your conductor keeps a steady beat and refuses to go ahead even if the rest of the choir is rushing. I always knew it was a bad sign when I looked up and saw that we were a few bars ahead of the conductor; however, it is hard to fix when no one else is looking. Thus, leading me to my final point: these types of pieces must be memorized. These types of piece are never the same if they aren't memorized. However, singing from memory doesn't automatically resolve tempo issues but at least you can guarantee that everybody is watching the conductor. Excellent soloist but a tad slow. University Singers of UNC: A faster tempo... if they could only have more control over it. Coro de Maracay from Venezuela. I feel like this have the spirit of the piece spot on but there are some things that could be vocally cleared up. All in all, when tackling choral pieces that are popular, you can bet adjudicators and singers have all heard a recent version of it. Thus, it important to approach the piece after some research to find your own unique interpretation of it to set yourself apart. Of course, this goes for any piece but when you enter a festival, and there are multiple other choirs singing the same piece as you, it is even more important to stand out. This discussion was very interesting, and I enjoyed the comparison videos. Our choir, Cantigas Women's Choir (www.cantigas.net) has explored pieces like this ... we have done Las Amarillas, and last year we performed a tango, Verano Porteno, by Astor Piazzolla. Since we are a community choir, the level of musical training varies greatly, so it's a kind of accomplishment that we are able to manage these pieces. Our choir director has us physicalize things a lot, like get up and dance, and move around the room while singing, to get the feeling into the body. I've posted this blog post of yours on our group's Facebook group page. I hope the other ladies in the choir take a look at it and I hope they find it as interesting as I did. We're doing mata del anima sola this year. We decided that we were going to split the solo into three distinct parts. I personally don't like singing the song because I feel that it doesn't have as much of choral feel to it. It has the solo going through the entire piece, so I feel like a back-up singer in a show choir. FrescaMari-Thanks for sharing my post! Anon-I know what you mean about feeling like a back-up singer in a show choir. This song definitely brings feelings of that out since it's mostly a showcase piece for the soloist.